Documentary of an egg, and the twenty-six ways one might portray it. 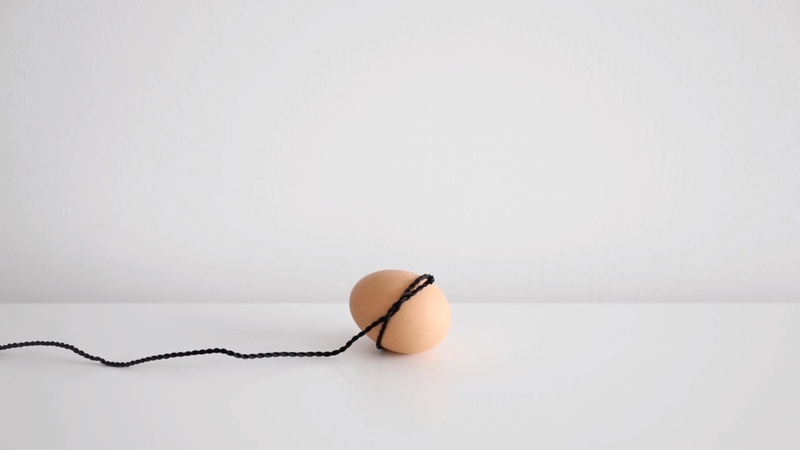 Inspired by Martha Rosler’s Semiotics of the Kitchen, this video explores human subjectivity and willfulness by taking the egg out of its usual context. The egg featured in this video cracked on the morning of December 19, 2018, due to a fatal fall from the kitchen counter into the sink.